This policy is effective the 1st May 2015, and will be reviewed annually by the Committee. 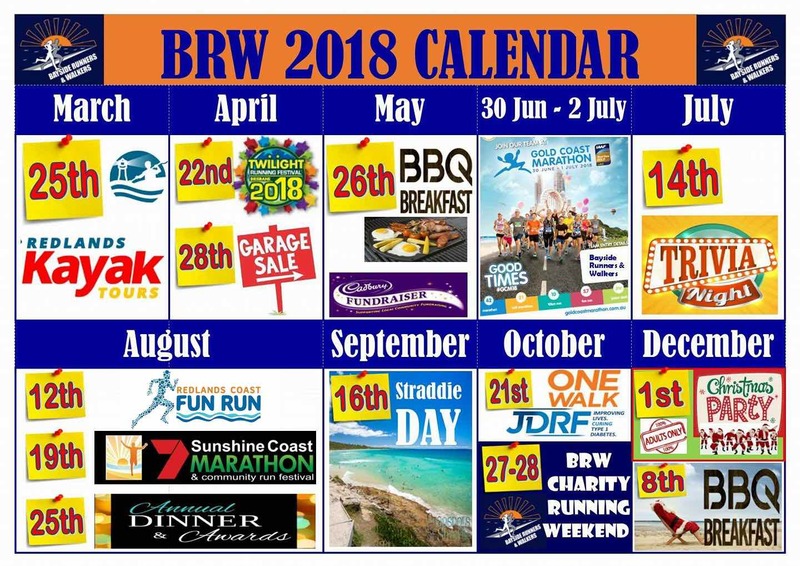 Bayside Runners and Walkers Inc. (BRW) facilitates a number of weekly runs, sanctioned by Queensland Athletics (QA), that are held at various locations throughout the Redlands. These sanctioned runs are covered by public liability insurance as provided by QA. Individual membership of BRW includes (base) membership with QA, and personal accident insurance on sanctioned runs. A non-member may run with the BRW Club on sanctioned runs on one occasion only. For reasons of insurance and coverage by QA as agreed, visitors or friends are permitted to run once with the club before being asked to join BRW as a financial member. Membership expires on the 30th September each year, and must be renewed prior to that date. Sanctioned runs are detailed on the BRW web site and Facebook page, and are subject to change as announced via those means. Fees are payable for the period 1 October to 30 September each year. There is no pro-rata of fees for people joining after 1 October. All members are expected to show respect, consideration and a spirit of good sportsmanship to fellow members and those we encounter when running and walking. All members must respect the local Government noise restriction times – 7.00 pm – 7.00 am; and be mindful of noise created by such things as talking and closing car doors. Dogs must be on a lead at all times during Club runs/walks and gatherings. NO DOGS ARE PERMITTED TO RUN IN TIME TRIALS. Purchase t-shirts, singlets and jackets, and any other merchandise made available by the club. Register with BRW teams for events. It is the responsibility of all BRW members to advise interested parties, new runners, of the above conditions and requirements. By becoming a member of BRW Inc. you accept the Code of Conduct for members, and any other policies the Club Committee deems appropriate to publish.